There are 9 reviews of Mon Numéro 10. Almost immediately after application, there is something very familiar and friendly that I get from Mon Numéro 10 by L'Artisan Parfumeur. Balanced, multi-faceted goodness that's worth a test / decant, possibly even a full bottle! Many notes and layers in this one. They all come together to create a burnt-sweet, spicy unisex offering. It has a slightly animalic undertone that gives it depth. If you enjoy spice, you'll enjoy this! Everything and anything seems to pop up in this one - but it works! It makes me think of mixing different coloured plasticine as a child -- that fantastic kaleidoscope of colours just before it merges into a sludge brown. I think this perfume manages to stay at the rainbow stage. It's sweet, spicy, leathery, incensy, gourmand, sometimes almost dry and austere, with some totally bubblegum cherry on top. I wore it a lot in winter when it always felt very cheerful -- but not at all warm. It's monstrously strong but I feel it's light and fun at the same time. My only gripe when I first got this was that it didn't seem to 'settle' on me, it always felt like a scent on top of the skin, and somehow apart. Nowadays, I see that as one of its strengths - it is definitely and uncompromisingly what it is - and one sniff can lift me from whatever nonsense or boredom the day has brought to remind me that there's so much out there in the world... much of which has made it into this bottle. Attractive opening – bergamot and booze with a pink pepper bite (well… more like a nibble)… It’s quite fresh and unique. Maybe it’s the incense (olibanum) from middle level that gives that smooth resinousness to the boozy (cognac) opening accord… whatever… it’s remarkably enjoyable, and I’m in love. Ah… This is L’Artisan at its best… delivering a fulfilling yet eccentric opening that does an excellent job of setting the groundwork for the remainder of the fragrance. The middle level provides a much fuller and almost as enjoyable heart accord: The cognac sparkle is reduced a little, but it’s there. 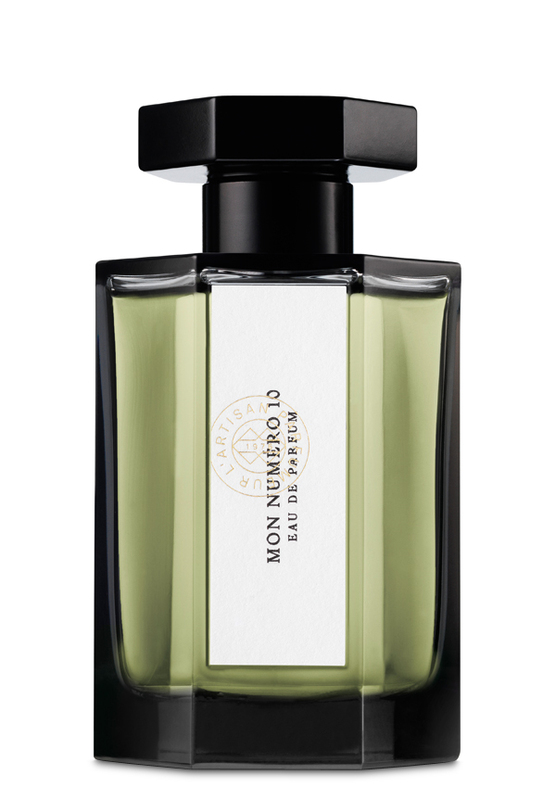 A sophisticated floral accord with rose, geranium, and jasmine is added... I wouldn’t call the florals prominent; they are more like a textured layer within a well-structured accord. I also get a slight background of spice and they are the spices I love: cinnamon and cardamom. Again, this is L’Artisan very near its best… offering a full, warm, attractive accord that doesn’t call attention to itself, rather it is aimed at providing a sophisticated and rich aura for the wearer. I don’t get the amber and sweet until the base begins to form. The base lists a lot of notes but what it forms to my nose is an amber / cedar / sweet accord. I don’t get leather or musk and I labeled the third element “sweet” because the base lists musk, benzoin, vanilla, and tonka bean – and there’s no way I can separate individual notes from the accord. With all those sweetening agents listed, the result is certainly not an overload of sweet … The “sweet” level is perfect as far as I’m concerned. Mon Numero 10 has unbelievable longevity and it retains the pleasant booze (or is it incense?) note to its distant end as a mannered skin scent: Complex, sophisticated, comfortable, lively… another sure purchase for me. Well made, well blended, interesting. I enjoy the Olibanum and the herbs. Slightly Amber, slightly sweet, slightly Citrus, slightly Peppery. Complex enough to keep my interest, with nothing sticking out and spoiling the well rounded totality. There are no member images of Mon Numéro 10 yet. Why not be the first?